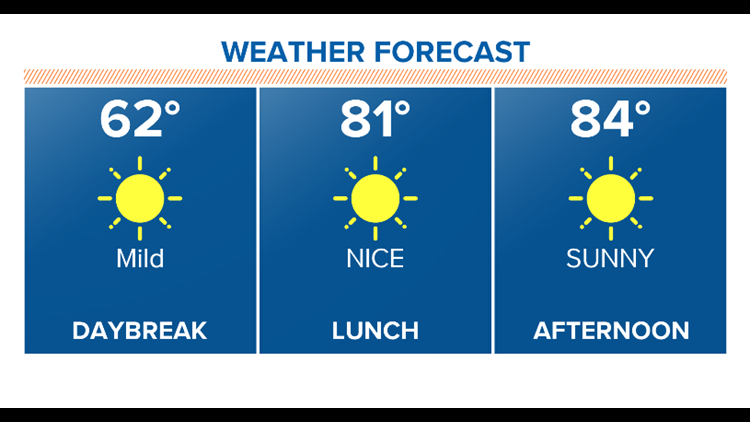 Houston Forecast: Sunshine through the weekend. High pressure builds through the weekend and so will our temperatures. Hello mid 80s. HOUSTON — Loving the north wind and 50s and 60s this morning. With clear skies and calm winds we do have an air quality alert issued by the National Weather Service for the afternoon. Higher levels of ozone peaks between 4 to 7 p.m.
You'll notice a little haze with the evening sunset after reaching high temperatures in the mid to low 80s. We will continue to see this throughout the weekend. Mid 80's today through Tuesday of next week. Let's give it up for Springtime in Houston. Waaahooo! 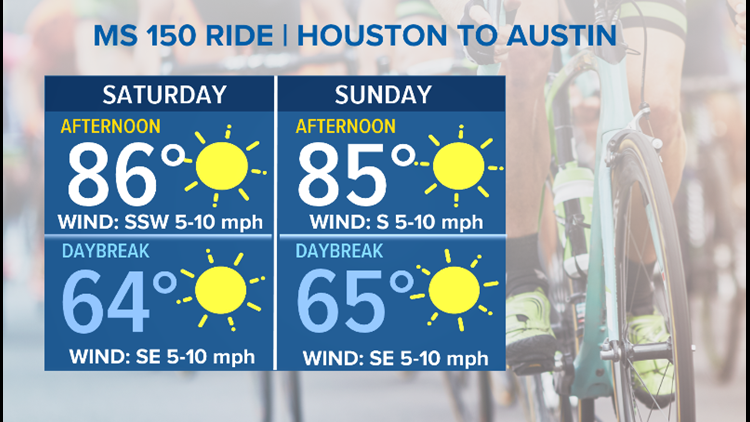 The weather for the IRONMAN competition in The Woodlands will be absolutely gorgeous with low temps in the 60s and high temps in the mid-80s. The weather will be the same for the MS 150 bicycle ride. And even better winds will be out of the south. So you won't have to deal with a head wind. The next storm system doesn't roll in to the area until next Wednesday.